Women are told that we have options. That we can choose whatever we want: friends, education, work, careers. Spouse or no spouse. Gender of our spouse. We’re told that happiness comes with limitless choice, and the answer for what to choose can be found within us. That’s what our world says, at least. But God has something else to say, something timeless, something true. His Word gives answers to our many questions: What does it mean to be a woman? How does womanhood relate to being human? And what does it all mean in light of being a Christian? 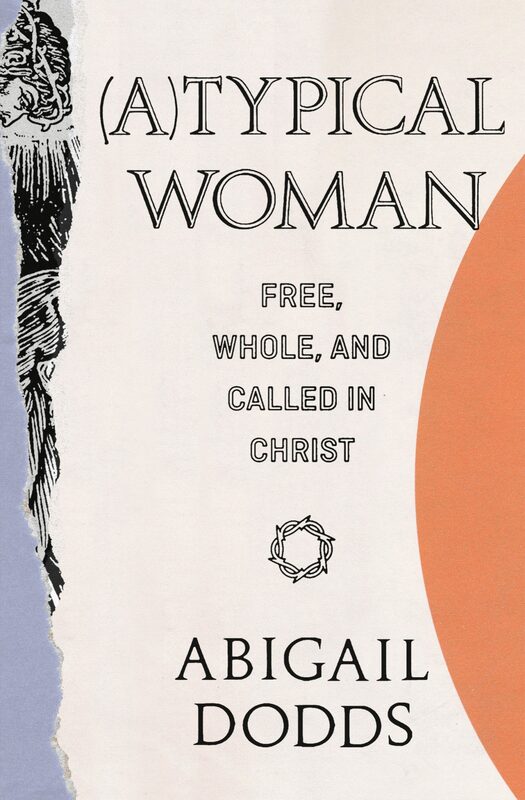 Abigail Dodds’s (A)Typical Woman: Free, Whole, and Called in Christ tackles these difficult questions in three parts: women in identity, women in action, and women in freedom. In our day of fluid gender identity, Dodds wisely and clearly describes the meaning of womanhood. Dodds—a wife, mother of five children, and Bible study leader for the women at Bethlehem Baptist Church—devotes a chapter to being wholly women, not limited to feminine ideals or roles, stating, “When we opt to see womanhood as merely an aspect of ourselves, we make it small and unglorious, sometimes condemning it to a silly caricature” (37). To be female, as to be male, is to bear God’s image, so feminine virtues aren’t first found in women but in God. No two people bear God’s image the same way; each woman is atypical. The chapters in part two describe women in action: transforming, single, married, mothering, working, and discipling. Dodds works through how God designed women to faithfully reflect his glory in what we do, including pitfalls and opportunities. Part three covers free and fearless women who are strong, afflicted, and dependent on the Lord. A strong woman can rejoice in the talents and gifts God has given her for his use rather than grumble about these gifts or bury them in a field. An afflicted woman can trust that the Lord blesses in all circumstances, even trials that grow our faith. Dependent women trust God to keep our wayward hearts in him. Free women aim to live righteously out of love for the Lord; obedience brings joy. A reader in more progressive environments would find (A)Typical Woman particularly helpful. Dodds excels in engaging post-Christian gender topics, particularly transgenderism. Her chapters often include defenses against transgender arguments. She addresses the embodied self and self-expression, hyper-femininity versus feminists, the abilities of the female body, and biblical gender roles. Dodds displays keen awareness of our culture’s potential pitfalls in an effort to help readers sidestep them, including exulting sin, social media dependence, lazy mothering, lies of comparisons, sexual exploitation, tribalism, and so on. In her introduction, Dodds admits that she pulls no punches, and she doesn’t. Crossway (2019). 160 pp. $14.99. (A)Typical Woman is a deeply thought-provoking read for women who’d like to dig through their identity to see how God designed them. The book includes discussion questions for the reader to work out for herself or in community. Dodds’s chapters are admittedly too brief to answer all of the questions posed; the reader will have to do some work exploring for herself. This is the type of book that will help the reader see herself and her world differently in a beautifully challenging way. (A)Typical Woman leaves little to critique. Yet Dodds’s chapter on marriage could’ve commented on divorced women and expounded on abused women. Her counsel to oppressed women is to “go to trusted Christians in your church.” What if her husband is a church leader or even a pastor? Whenever this topic is addressed, it warrants careful attention to help women in crisis. On motherhood, the book presupposes that mothers stay at home with young children. A career before staying home with the kids or while being a mom with young kids isn’t addressed. The chapter also skews young without advice for the mother of grown children or the grandmother parenting a parent. In women’s ministry it’s natural to draw from our experiences and to miss the opportunity to make teaching illustrations applicable for women in all stages of life. We’d do well to consider the caveats in our illustrations. Let’s have a word for the woman who doesn’t fit the demographic mold: the woman who did this or that later or earlier in life, who lost a child or a husband, or who suffered bad circumstances not of her own choosing. Dodds’s stated goal in writing (A)Typical Woman is this: “I want women to be at peace as women, to be grateful for being made women, and to see it all as an essential part of Christ’s mission and work” (13). That is indeed a worthy and needed aim. To reflect our Creator and to do his work, we must know who he made us to be and what we’re to do.